The main college site sits between Banbury Road (next to the University Science Park) and Woodstock Road; for more information on the location and to get a plan of the site, visit the directions and maps page page. The buildings on the main college site span an eclectic mix of time periods, including late 19th-century houses, the modern Ruth Deech Building and the New Library. St. Anne’s also has a graduate housing complex in Summertown at Robert Saunders House (RSH) and shares a sports ground with St. John’s College. Please see the directions and maps page to view the location of these facilities. The Middle Common Room itself is situated in Eleanor Plumer House (EPH), the new graduate centre located on the college site. The common room has been restored and refurbished ins summer 2017 and consists of a large, comfortable sitting area which has a wide-screen television, Nintendo Wii, PS3, a DVD and video player, as well as an extensive selection of newspapers and magazines to which the MCR subscribes. The EPH Common Room is an ideal place for relaxing or reading. You can also enjoy free tea, coffee, milk, or biscuits from the fully fitted kitchen. Please contact the MCR Welfare Officers, if any of these items are missing. The EPH common room is also the setting for many of our evening social events, such as drinks receptions before our variety of formal dinners, parties, beer tastings, film nights, and many more. EPH also houses an exclusive graduate study area which has several computers – all with broadband access – as well as printing and scanning facilities. 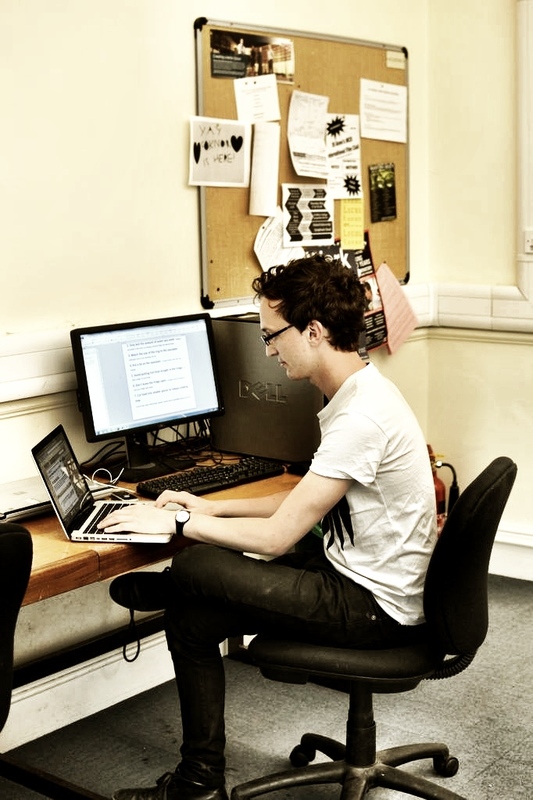 There is Wi-Fi access available throughout EPH, including in the common room. For more information on the accommodation in EPH, please see the accommodation page. The Ruth Deech Building (RDB) is home to the porters’ lodge, which also serves as reception for all visitors. RDB houses undergraduate bedrooms as well as seminar rooms, teaching space, the multimedia Tsuzuki Lecture Theatre, and ample social areas for events such as dinners and wine tastings. RDB named after a former Principal of St. Anne’s, Baroness Ruth Deech; her portrait hangs in the building’s foyer. Hartland House contains the old college library, which is the largest college library in Oxford with over 110,000 volumes. The college Treasury is also on the ground floor at the opposite end of the building. Halfway along the ground floor corridor is the St. Anne’s Junior Common Room (JCR); the room it occupies is also known as the Hartland Room. This is where the college undergraduates hang out. The Senior Common Room (SCR) is also on the ground floor. The first floor of Hartland House (above the Treasury) house both the Principal’s Office and the Academic Office. The New Library and Academic Centre has been completed in 2016 and opened in early 2017. It provides a variety of new study and seminar spaces and 1,500 metres of bookshelves for our growing collection of books. Designed by Fletcher Priest Architects plans for the new Library were inspired by Oxford’s historic buildings, and it has been designed to last for centuries. During summer, the new rooftop garden, accessible via the first floor of the new library, becomes a very popular place to work and relax. St. Anne’s has 4 music practice rooms in the basement of 50 Woodstock Road. Three of the rooms are open and have upright pianos. The other room, known as the “Annie Barnes Music Room,” is only available to those enrolled in a music degree or those who receive a music scholarship at the music competition (usually scheduled for the middle of Michaelmas term). The Annie Barnes Music Room comes equipped with a Yamaha grand piano. Please also see the Music page for more information on college activities in this subject area. Most of these are in the Victorian houses: 48 and 50 Woodstock Road, and 27, 29, 39, 41 Banbury Road. The MCR also runs the Sciences as well as the Arts and Humanities Discussion Group Series in these rooms, usually in 48 Woodstock. These houses are numbered 58/60 Woodstock as well as 1 to 10 Bevington Road. All are Victorian houses, home to many undergrads, particularly in their first year. Laundry facilities are located in the basement of 58/60 Woodstock. There’s also a small gym room with exercise bikes and a weights room downstairs in 58 Woodstock Road. Rowing machines are available in the Erg Room located in Room 2 of 6 Bevington Road. Trenaman House contains undergraduate student bedrooms as well as the STACS Coffee Shop. The Wolfson and Rayne buildings overlook the main quad and are usually undergrad residences. The College Bar is is a very popular venue. Drinks are cheap and there’s a pool table, table-football, quiz machine, dart board and juke box. The Gatehouse consists of 20 undergrad bedrooms. Here you will find the JCR post room and top up card machine for the washing machines and dryers. Check with the Lodge if you are unsure how to put credit on your card. The Mary Ogilvie Lecture Theatre (MOLT) is attached to the Claire Palley residential building and is a venue for Subject Family Events, some lectures, film screenings, music recitals, and art exhibitions in the foyer. ©2013-Present St. Anne's College, Oxford. Designed by Antarctic Design.